It's been a little over 3 years since joining Crossfit Tides and it has been the best decision I've ever made! I used to think working out and eating right were a waste of time and with a few activities (rec sports) each week I could maintain my health. I finally joined based on a realization that I needed to lose a little weight and working out would help, only to find one of the best communities I've ever been apart of. Everyone was very helpful a & friendly the moment I walked in and has continued to support me in my journey towards fitness. Not only have I found great workouts at the gym, they have also taught me the power of nutrition and it's impact on my weight as well as my energy in everyday life. Now my goals have changed from just trying to maintain, to becoming an athlete and supporting my "Family" at Crossfit Tides! I’ve been involved in sports my entire life, but “working out” hasn’t always come as easy. Three years after starting at CrossFit Tides I can say without a doubt that I’ve not only learned how to get stronger, but am also much healthier and generally smarter when it comes to my body and lifestyle. Walking through the door for the first time was the hardest step in this whole process, but once I got started I was hooked! Belonging to Tides is like having personal trainers who tailor workouts for me and help keep me safe and moving forward every week. While some are competitive with one another, at the end of the day CrossFit Tides is one of the most positive and encouraging teams I’ve ever been a part of. No matter where we have all started we are all there working towards a common goal…not just to be stronger, but healthier and more confident. I feel healthy, have a ton of energy and have built some valued relationships with a great community of people. I look forward to the challenge and sense of accomplishment that come with each workout and am in better shape now in my 30’s than I ever was in my 20’s! 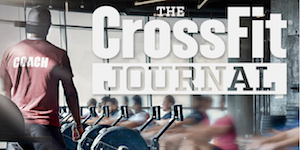 Being a member at CrossFit Tides isn’t easy…it takes time to become totally comfortable with some lifts and movements and the workouts are challenging. It doesn’t matter where you are starting from – young or old, male or female, in shape or out of shape, commit to giving this a try I think you’ll like it. If you trust in the coaches, work hard and embrace the new challenge then you’ll be happy you gave it a chance…I know I am. 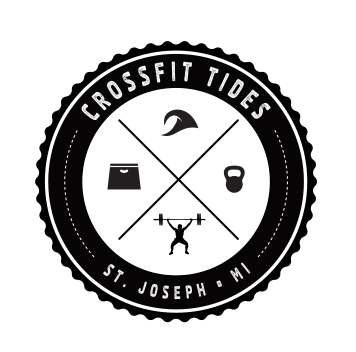 After years of gym lifting, I tried Crossfit Tides for the first time in March of 2014. I’m stronger, faster and have better endurance in my 40’s than I ever had at 30’s. The coaches at Crossfit Tides are the best, hands down. The coaching staff is patient and enthusiastic. Since joining the Tides I’ve lost over 30 lb and have gained muscle. My only regret is that I wished I had joined the Tides sooner. The other athletes at the Tides cheer and encourage you like no other gym I have been a member of. The hardest part of Crossfit Tides is walking in the door for the first time. Kevin B.